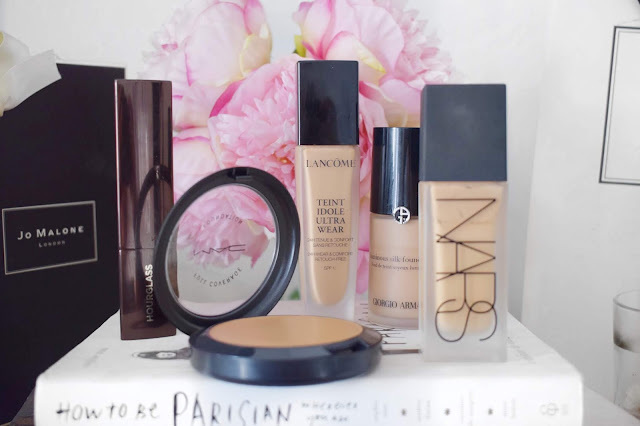 It is time for a new beauty blog post and this one is going to be all about my favourite foundations. I know that I did a post the other day about some of my favourites, but this post is going to be about the foundations that have really stood the test of time in my collection and that I cannot be without. You guys will probably know by now that I am a lover of all things foundations and I have been absolutely obsessed with them for many years. There was a time when I was buying them hand over fist and I had more in my collection that I could ever dream of using. I think at one point I was buying a new foundation every single week, which is why I was overrun with them and I had to make a conscious effort to cut it back a little and curb my foundation spending habits. I really do think that this is the most underrated foundation and I cannot believe that more people don’t use this incredible foundation. What I adore is that it is just intense coverage that applies in no time at all. I tend to pair this with my Real Techniques Buffing Brush and I just swirl it into the cream compact and then with some light buffing, this is completely worked in and it looks perfect. I am all for products that are quick and easy, and this is ideal. Not to mention that I think it makes my skin look amazing! I know that you guys are probably more than sick to death of me talking about this Nars foundation, but I am so in love with it and really cannot stop using it at the moment. What I love about this is that it applies like a dream to the skin and sits so beautifully. When you pump this foundation out, it really is the consistency of water because it is that lightweight, but the amount of coverage that it provides is just completely out of this world! When this Hourglass Foundation as first released years back, I knew that I was going to have to get my hands on it. There really isn’t one single thing that I would change about this foundation and I have gone through so many of these over the years. What I love about this and what keeps me repurchasing is that fact that I can get this on my skin, buffed out and looking flawless in seconds. There is no effort required with this and it makes the skin look incredible! There are two main reasons why I adore this foundation. The first one has to be that whenever my skin is having an oily moment, this is the most perfect formulation to keep my skin looking nice and normal. The second has to be the amazing coverage that this foundation provides. I know that whenever I reach for this product that my skin is going to look nothing but flawless and it gives me a full coverage finish without needing to build up product! This is an oldie but a goodie to me and I still absolutely adore this. I feel like I don’t really use this foundation as much as some of the others that I have mentioned in this blog post, but it is an item that I really don’t like to be without. 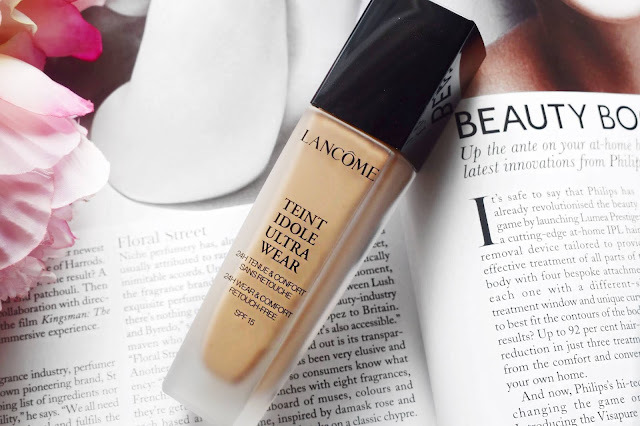 Whenever I use this foundation, I really do have to wonder why I stopped using it regularly because I know that whenever I use this foundation that my skin is going to look flawless and stay in place all day long! I hope that you guys enjoyed this blog post and getting to see some of my favourite items from my collection, that I really do go back to time and time again. As normal, make sure to leave me a comment down below and let me know some of the foundations that you love, and I will have to check them out for myself. I will pop some links below in case you guys want to check out any of the items that I have mentioned, but I really couldn’t recommend them enough. Lancome is such a wonderful brand! I really need to try out more from them! I have tried to use MAC again, but I just didn't love it so much! I am so in love with all of them! I love the NARS foundation and concealer. Such great coverage. Thank you for sharing this helpful review. Nothing beats Nars in my opinion! I've never tried any of these foundations but I'm desperate to try the Nars and Giorgio Armani ones! I've heard so many good things! I honestly couldn't recommend any of them more! I am such a foundation hoarder! Awesome roundup! I love Luminous Silk. I haven't had much luck with NARS foundations in terms of shade match, but I really want to give one another try- All Day Luminous sounds amazing! Luminous Silk will always be one of my favourite products! I love the Lancome foundation, it's so pretty! 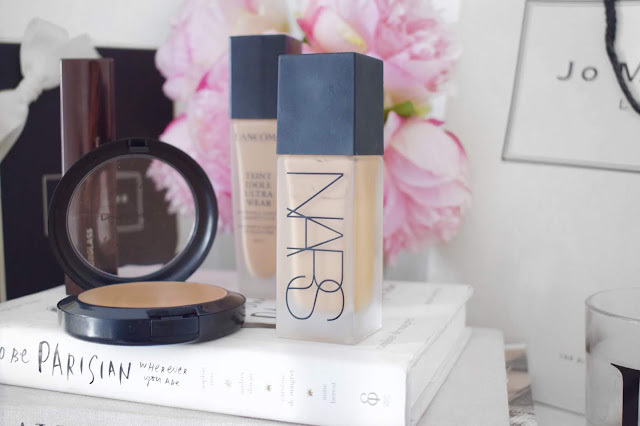 I have to try that Nars all day luminous foundation. I didn't have the greatest experience with Nars sheer glow but it was also in my early makeup days. Between a beauty blender (the juno and co sponge which I'm obsessed with) and a variety of primers I adore, I know I can make that foundation work for me. Lancome really do some absolutely wonderful foundations! I haven't tried any of these foundations before. The two foundations I'm loving are the YSL Touche Eclat all in one glow and Dior Forever skin glow. I really want to get my hands on the new Dior Foundation! It really is completely under the radar!